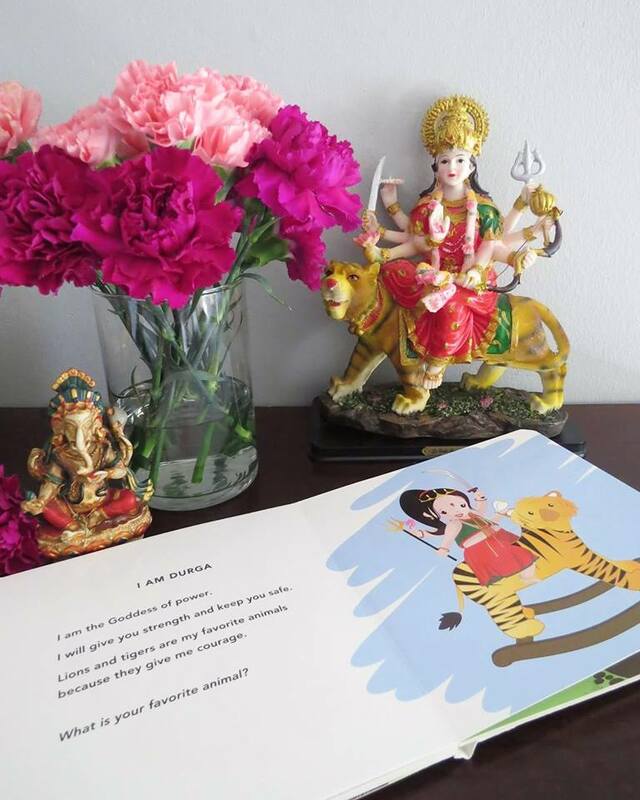 Recently, Reena Puri and Mital Telhan of Desi Babies, sent me their flagship book, Meet My Hindu Gods. 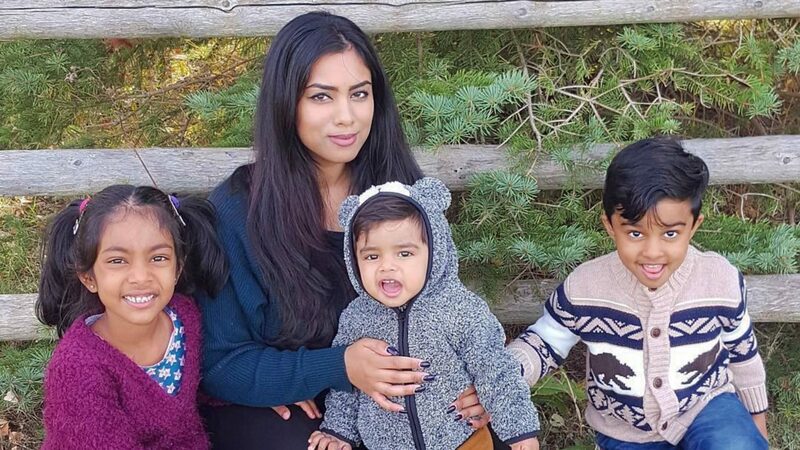 Reena and Mital founded Desi Babies as a means of sharing their love of Indian culture and Hinduism with the world. 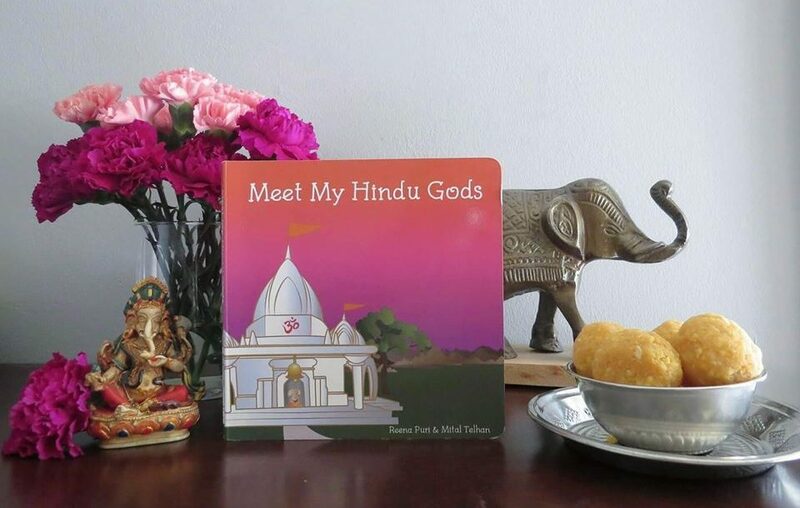 Desi Babies’ first book, Meet My Hindu Gods, was thoughtfully created to teach children about the Hindu Gods as well as the importance of God. Books like this one make a South-Asian parent like myself immensely happy because it gives me the opportunity to teach my children, who are being brought up in the Western World, a little bit about their culture and religion. It serves as a great learning tool while encouraging a love for reading and that is something any parent can be thrilled about. The kids, from the six year old to four year old to the baby, absolutely loved reading the lovely 18-page board book. There wasn’t really much for Shakthi and Karthik to learn as I have already taught them about all the Hindu Gods but regardless of that, they still enjoyed reading it. Shakthi read the book to her brothers with great ease making this a wonderful book for early readers. Meet My Hindu Gods could definitely be used as an effective teaching tool for younger kids to learn about the many different Hindu Gods. 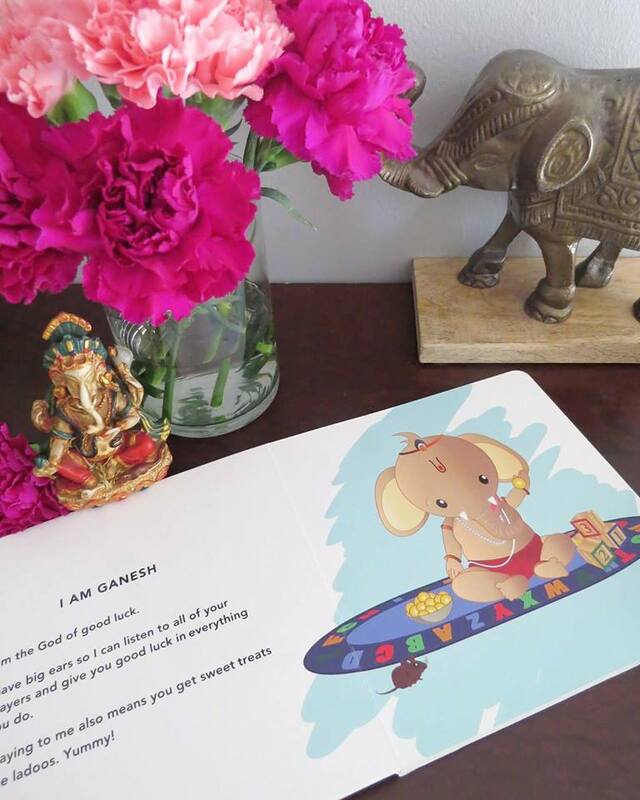 The illustrations are beautiful and colourful and sure to grab the attention of the youngest of readers and the text and descriptions are written in a way that can be easily understood by little ones. Meet My Hindu Gods, introduces little ones to the following Hindu deities: Ganesh, Bhrama, Vishnu, Shiva, Lakshmi, Saraswathi, Krishna, and Durga, as well as Rama, Sita, Lakshman, and Hanuman. As a Sri-Lankan Hindu who worships Lord Murugan (also known as Karthikeya) I was a bit disappointed that He was not included especially because my middle child is named Karthik after Lord Murugan. Other than that, this book was an awesome read and covered all the major Gods and Goddesses as well as their roles in great detail. You can order your copy of Meet My Hindu Gods, here. To see what Reena and Mital of Desi Babies are up to, you can follow them on Instagram here.